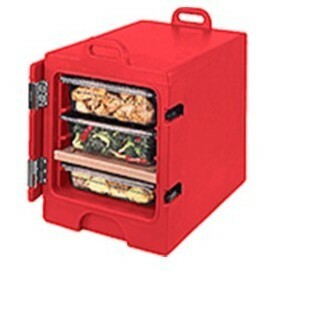 The purpose of the hot box is to get the food from kitchen to serving table safely, maintaining health department standards for food temperature. It has a heavy seal around the door, latches on the doors and it is heavily insulated. If using it for hot food, it’s a good idea to put very hot water in the box before putting in hot food. Once the environment is heated, dump out the water and add the hot food that you have cooked in the food pans. If using it for cold food, chilling the inside with ice or ice water will serve the same purpose. Caterer’s Tip From Patti at Pattis Kitchen: I don’t find it necessary to preheat the Cambro. As soon as I put the first hot pan in it heats it up very quickly. Of course it must be hot not just warm. Use standard size commercial food pans (12-3/4″ x 20-7/8″ x 2-1/2″) or half size commercial food pans (12 3/4″ X 10 3/8″ X 2 9/16″). The disposable foil food pans are available in the correct width/length at the grocery stores, dollar stores and discount stores. Since all of the pans ride on rails on the inside of the hot box, the depth of the pans impacts how many pans you can transport per box. Each brand of hot box has a different number of rails. Talk to a rental representative to determine how many pans of what depth each will hold. Leave the food in the hot box until shortly before time to serve. Take out what is needed and close the box until more food is needed. 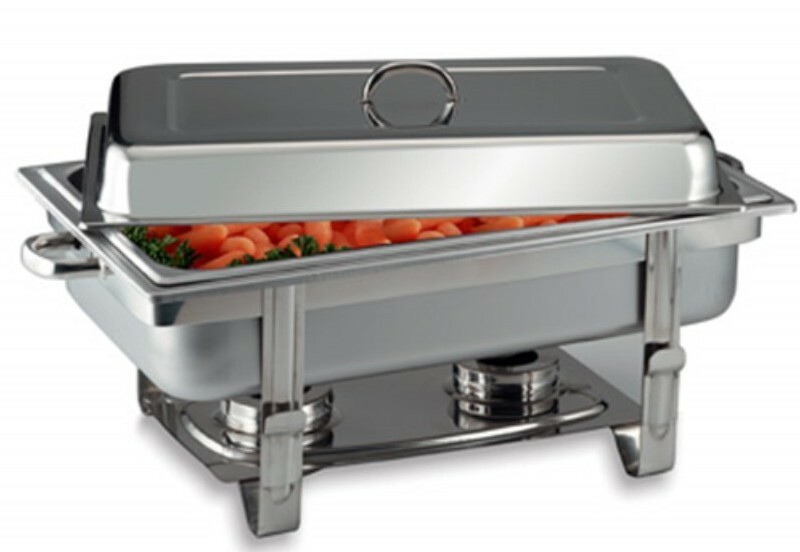 Chafing dishes or Chafers The purpose of these is to maintain food temperature during food service. 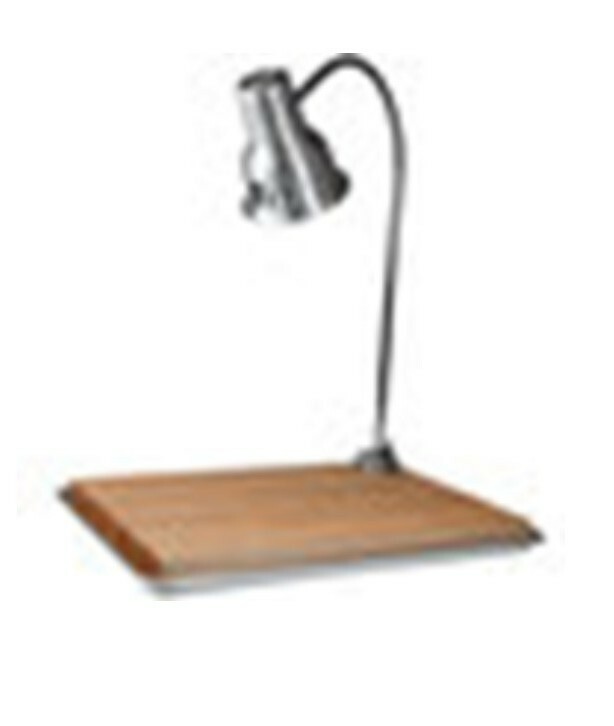 They include a 4” deep water pan and a 2 ½” deep food pan resting on top of the water pan. They also have a space for 2 cans of Sterno (canned heat) under the water pan. Chafers are rented as a complete set with the frame, all pans and lid. Sterno is sold separately. About 30 minutes before time to serve the food, put about 1 1/2” of very hot water in the lower water pan and light the Sterno underneath to prepare a hot environment for the food pans. The approximately 2” deep foil food pans can be substituted for the 2 ½” deep food pan that comes with the chafer. Shortly before time to serve the food, put the food pan with hot food in it on top of the water pan. 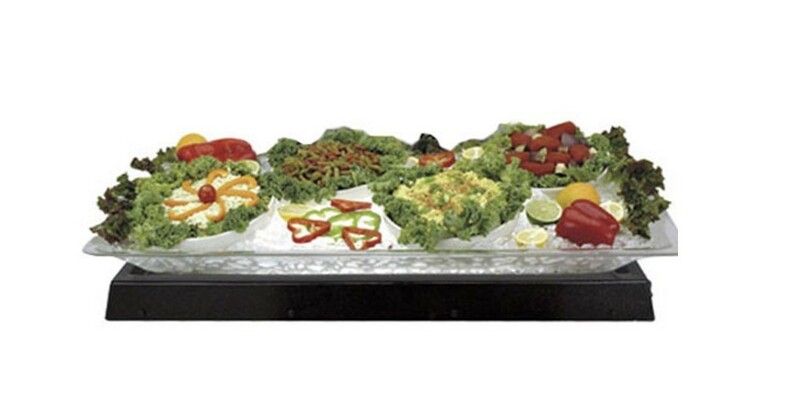 Put the lid back on the chafing dish until guests are ready to eat. Chafers come in different sizes and shapes with the largest size holding 8 quarts. The purpose of this piece is to offer an extra level of service by carving to the guest’s preference. It is usually positioned at the end of a buffet station with a food service person cutting the meat and putting it on the guest’s plate as the guest goes through the buffet. It provides a nice way to control portions when most of the buffet is self- serve. The caterer can make sure that hearty eaters are not taking too many portions and that there will be enough to serve all guests. Double bowl method: Place ice in the bottom bowl and cold food in the top bowl. 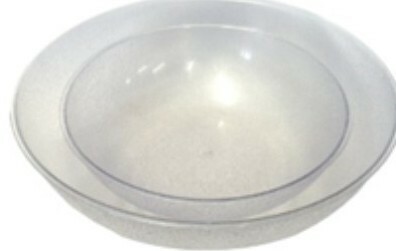 These large bowls are inexpensive rentals and come in 18” and 23” diameter. This will hold many bowls and there is a spigot with a drain tube attached to keep the ice fresh looking. A pail is placed under the table with the drain tube draining into it. Our tray is 47” X27” X 2.5”. A mirrored light box is also available.